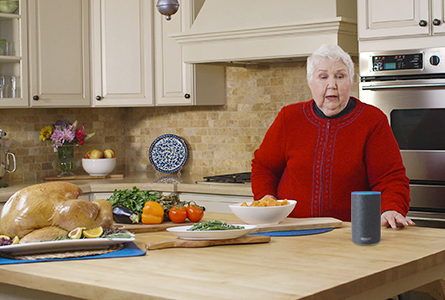 With the new Butterball Alexa Skill, you can reach us without lifting a finger. With a simple voice command, you can hear the Talk-Line experts guide you through every step of your meal prep. Watch our team try the Alexa skill for themselves! 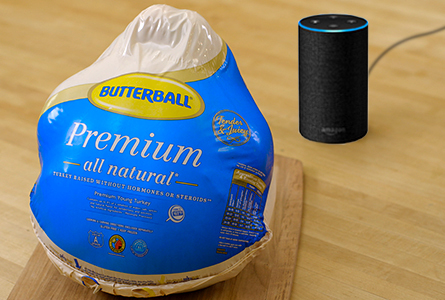 Get the skill on any Alexa-enabled device by saying “Alexa, open Butterball…” or “Alexa, ask Butterball…” Then you’re ready to ask away! "How many pounds of turkey should I buy?" "How long do I need to thaw my turkey?" "At what temperature should I roast my turkey?" "How do I know when my turkey’s done?" "Where should I put the meat thermometer?" 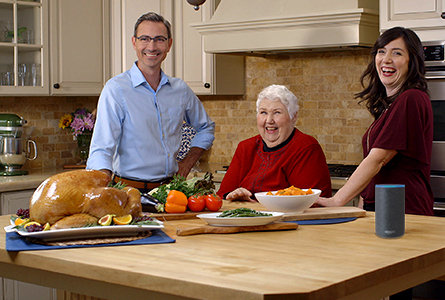 When it comes to turkey, holiday cooks trust the pros at the Butterball Turkey Talk-Line. That’s why we featured real Talk-Line experts in our skill. If you ask, they’ll even tell you about their favorite calls or give you a pep talk! 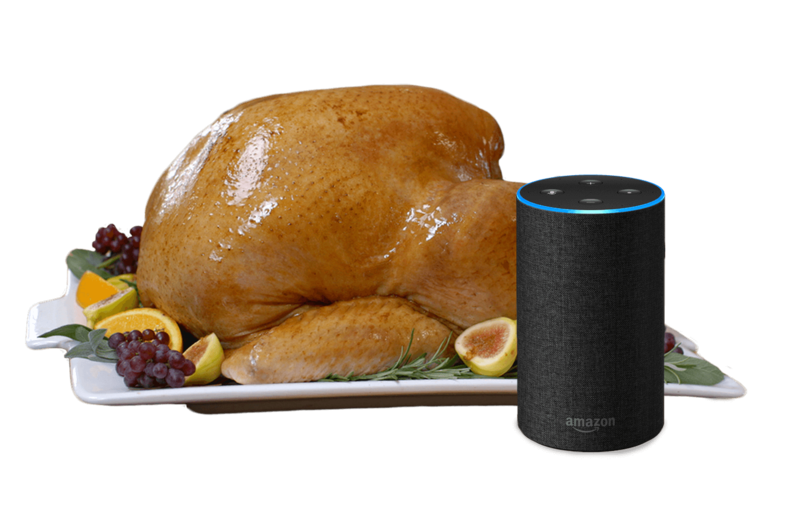 "I’m excited about the Butterball Alexa Skill because it shows how we’ve continued to evolve over the years."